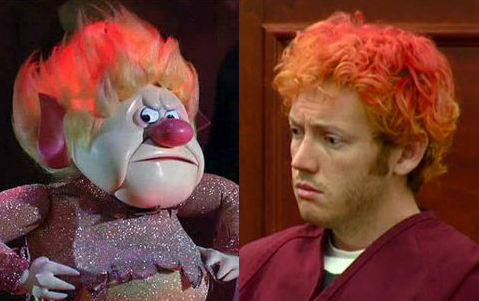 That would be "Heat Miser" from "The Year Without Santa Claus." And clearly he's the bad guy James was trying to look like with that awful hair. Ugh, I'm still creeped, and hate him beyond words, but had to share.